Through asana, satsang, ritual, story, mantra, music & kirtan, we’ll devote our weekend to studying some of the most auspicious deities in the yoga tradition. Connecting with, and understanding energies connected with the yogic deities provides a unique reflection of Divine Oneness. In this immersion, we’ll explore how we can embody the expressions of each deity and how tapping into their divine energy can enhance our yoga practice and our everyday lives. Though we’ll focus on 5 of the most auspicious deities, our stories, songs, and practices will weave in many other deities and interesting characters. The mythology of each deity and their relevance in modern day. The vibrational currents of the energies of these deities. Aligning with high vibration energy. Asana that awakens, aligns, and honors the prana of the deities. Story telling, meditations, mantras, satsang, kirtan, asana, group work, & ritual in honor of of these deities and the energy they carry. Short personal practices of writing and discovering how these deities can become allies for you. This 20-hour weekend workshop/training is open to both teachers and students who are looking for the hidden gifts of the ritual and story of ancient yoga mythology and their relevance to modern spiritual living. This course of study may be taken as a stand-alone training or as part of the Twist Yoga 500 Hr Independent Study Teacher Training Program. 9:30: Asana – Opening the Gateway to the Divine: Ganesha’s Story, Meditation, Mantra, Vinyasa & Kirtan. (This asana class is open to the general public). 1:00: Shiva & Shakti: Destroy, Awaken, Release, Clarify: Shiva-Shakti stories, meditation, mantra, Shiva’s asana dance, kirtan & writing practice. 11:05: Durga: Defining the Strength & Power of the Heart: Durga’s stories, Durga puja, meditation, mantra, vinyasa & short writing practice. 2:00: Practicing Fierce Compassion Satsang: Make it Relevant. 4:00: Puja, Ritual & Ceremony: The art, practice and importance of holding space for the divine in your teaching and every day life. 5:30: Devotion to Love, Light & Divine Balance: Hanuman’s Stories, meditation, mantra, yin & restorative practice, accessing your personal divine love story. 12:00: Lakshmi: Celebrating Abundant Living. Lakshmi stories, bhakti vinyasa, meditation, mantra, kirtan. 2:15: Lakshmi-Vishnu ritual & prasad. 2:45: Closing Satsang: Make it Practical. Recommended Materials: We provide some cushions and props for this training, but if you have personal blankets, bolsters and sitting cushions that would make you more comfortable, feel free to bring them. If you have any altar items that hold power for you, bring them (although not necessary). What not to bring to the studio: Valuables, as our storage areas are not 100% secure. Training Schedule: Friday, 9:30am – 4:00. Saturday: 11:05 – 7:00p,. Sunday: Noon – 4:00. Tuition: $325 if registered by 4/2. $385 after. Cancellation Policy: Refunds available, less a 15% administration fee, up to 14 days prior to workshop. No refunds, transfers of tuition to another event or account credits allowable after that time. Amber’s first connection to yoga began in 1993. That very first practice opened the door to many avenues of study of holistic healing practice and methodology. Her teaching style is intuitively inspired by students needs, ranging from a strong vinyasa flow to slow, therapeutic structural work, all with a strong spiritual undercurrent. She teaches with a playful spirit encouraging students to find balance between challenge and a joyful exploration of practice. Her highest hope is to support students and teachers along this magical path of self-discovery, ecstatic awakening, and deep connection to sat guru, the true teacher within, through the beautiful teachings of yoga & the shamanic arts. She is honored to be a teaching in a time when students are so selflessly willing to challenge themselves in practice to continue this amazing work of gathering the collective back to state of beauty & vibrancy. She is eternally grateful for the eclectic mix of teachers in her life and their infinite inspirations. Amber is a certified Reiki Master, has a Bachelor of Science Degree in Holistic Health Psychology from Bastyr University and a Master’s Degree in Integrative Studies in Psychology with a focus on Holistic Health and Wellness Planning from Antioch University. 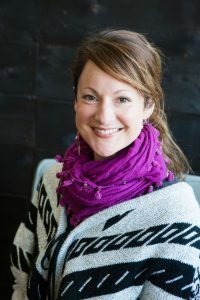 She practices the shamanic arts, has a deep love for ayurveda, and continues collaborating with others involved in the healing arts to bring students a comprehensive understanding of their own healing potential. Rob and Melissa are bhakti yogis, teachers and kirtan singers devoted to celebrating the divine through the practice of kirtan (call and response chanting). When Rob and Melissa first met, neither of them sang kirtan or practiced Bhakti yoga (the yoga of devotion). By the time they married two years later, the foundation of their partnership was a mutual desire to place love and devotion as their number one priorities. As these seeds of devotion grew, Rob and Melissa naturally gravitated toward kirtan and Bhakti yoga.